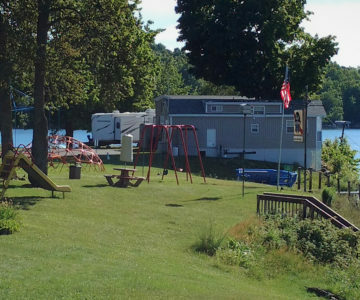 Resort & Campground Offering Pontoon Boat Rental, Lakeview Lodging and direct access to ATV trails. 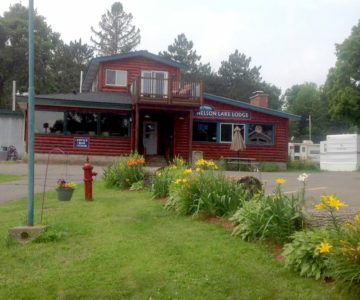 A family friendly resort on Nelson Lake, a premier fishing lake in Hayward Wisconsin. We offer 45 large seasonal RV campsites. Each campsite features 50-amp, full hook-up capacity. Overnight RV campsites also available featuring 50 and 30-amp full hook-up capacity. 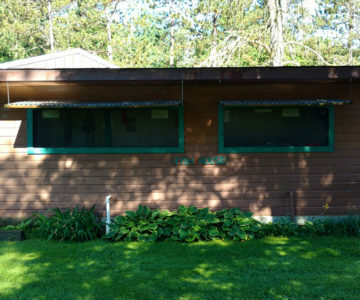 Our campground features a sand beach, fish cleaning house, playground, and community room with convenience items available for purchase to our guests. Enjoy direct access to miles of ATV trails. Flexible check-in/out days with short stays welcome (2 night minimum) for our Lakeview Lodging. 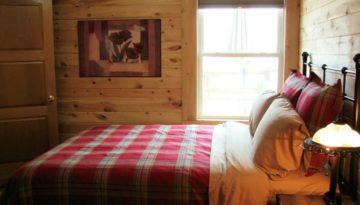 Our fully furnished lakeview suites feature full kitchens, private lakeview decks, in-suite controls for heating and air conditioning, cable television and free Wi-Fi. Book a vacation that fits your schedule! With only a two night minimum required, you can check-in on any day of the week. 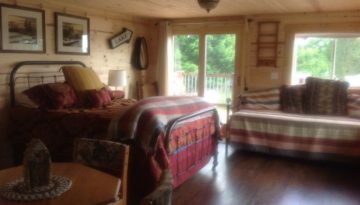 Book five or more days and get a discount on your stay. 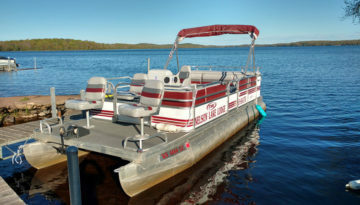 Pontoon boat rental, featuring our 8 passenger TMC, and 6 passenger Sweetwater models. Boat rentals available to anyone looking to enjoy time on Nelson Lake. A 10% pontoon rental discount is available for guests of our Lakeview Suites. Bath linens are not provided. Check-in time: 3:00 P.M / Check-out time: 9:00 A.M.
No Pets or smoking allowed in Lakeview suites. 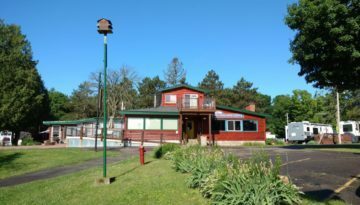 Please call 715-634-3750 for current rate and site information. And To Book Your Next Vacation! Copyright © Nelson Lake Lodge. All Rights Reserved. Web Site by Alan Michael Productions.